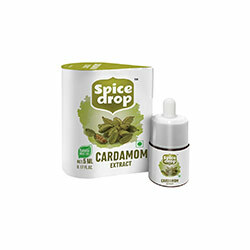 Ready to use Natural Liquid Spice Extract. A Perfect blend of two delicate flavors of Saffron and Rose. 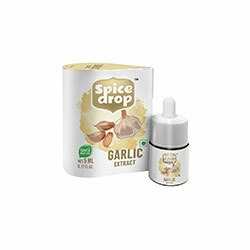 Add it to Cakes,Cookies, Cream, Indian Sweets & other Desserts for fragrant and rich flavour. 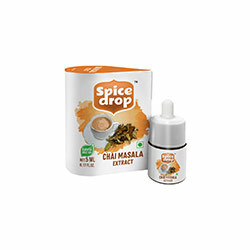 Ready to use Natural Liquid Spice Extract. 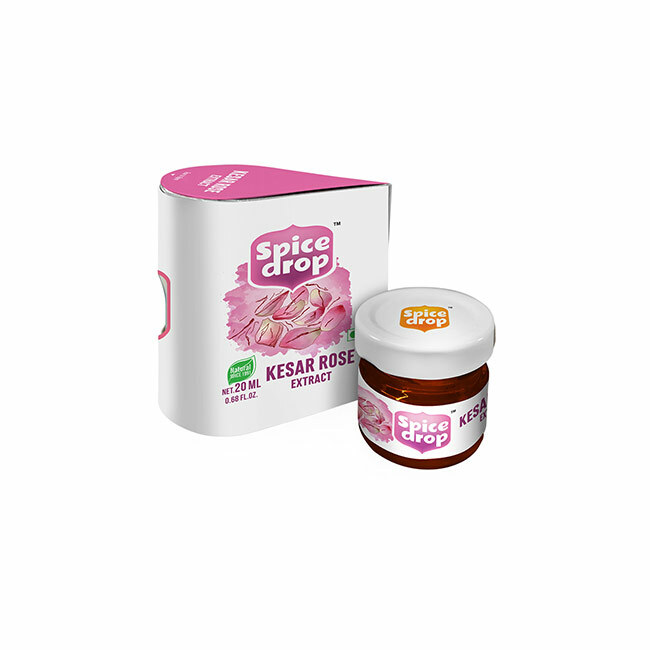 A Perfect blend of two delicate flavors of Saffron and Rose. Add it to Cakes,Cookies, Cream, Indian Sweets & other Desserts for fragnant and rich flavour. This is to inform customers that actual product packaging and materials may contain additional and different info than what is displayed on our website. We recommend that you do not depend solely on the info available and you always read labels, warnings, and directions before using or consuming a product. Add about 4-6 grams in a Kg of Base material. Store in clean, cool, dry place. Cap the bottle tightly after every use. Please find below the shipping rates for Natural Extracts Store on Bakerykart. The below rates are not applicable for products with extra shipping. Please browse through the related product to help you find a product you are looking for. If you are unable to find a product you are looking for, please contact us. 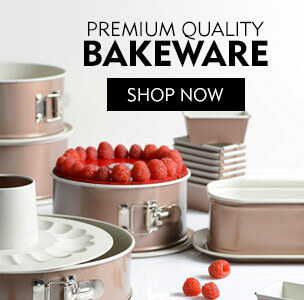 The active baking community on Bakerykart constitutes of amazing chefs and expert bakers including professional and home bakers. These baking enthusiasts and baking experts list their favourite baking recipes on our baking blog, sharing their expertise with the entire baking community. Here are their most popular baking recipes ranging from cakes to croissants, pies to puddings! A yummy Chilli Spiced Rolled Truffles for some spicy sweet treat. 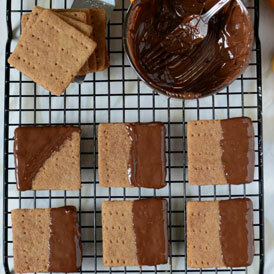 There are few things more delicious in life than simple buttery homemade graham crackers. Plus by using whole wheat flour you can feel good about eating them all day long. This Gluten Free Lemon Blueberry Cake is super moist and delicious. It’s full of fresh blueberries with a not too sweet cream cheese buttercream frosting. You’ll never know it’s gluten-free. A double-layer of oatmeal cookie goodness sandwiching layers of smooth, chewy, ooey-gooey caramel, melted chocolate chips and toasted nuts.